It was just announced tonight that there’s a new CW spin-off television series in the works, one which apparently includes Captain Cold (Wentworth Miller), Martin Stein (Victor Garber), Ray Palmer (Brandon Routh), and Caity Loitz (who played Sara Lance/Black Canary). As reported by TV Line, it’s some kind of “superhero team-up” series. So maybe it’ll expand on the characters, with an episode here and there dedicated to Cold, and another to Martin Stein, and another to Ray Palmer, and so on. Or maybe they really will team up for other adventures. I’m really surprised and confused by this, but also pretty excited, because it’d be great to see the secondary characters in these shows fleshed out a bit more. 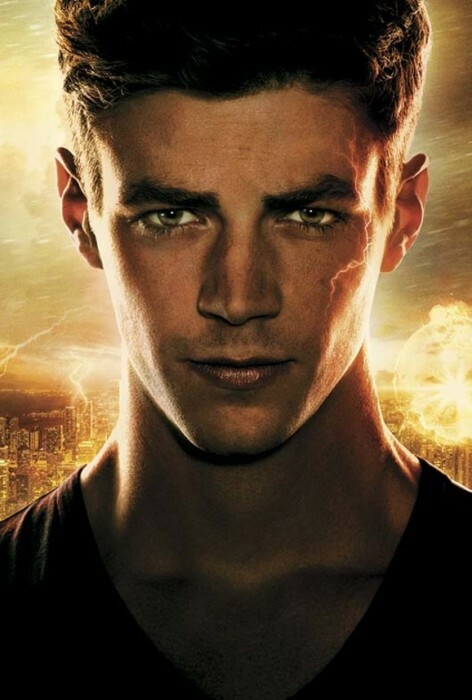 Obviously the main series are dedicated to Barry Allen and Oliver Queen, but now we’ll see some new focus on the popular-but-side-characters the shows have introduced. Spoilers for the next Flash episode behind the jump. This entry was posted in Media and tagged Flash TV Show 2014, Legends of Tomorrow TV Show on February 26, 2015 by Lia. The Flash TV show has gone on a four-week hiatus, but there are a lot of Flash comics coming out! Flash #39 arrives in stores Wednesday, continuing the saga of the future Flash taking over present-day Barry Allen’s life, and bringing us more information about Overload (but not an overload of information). Preview at 13th Dimension. 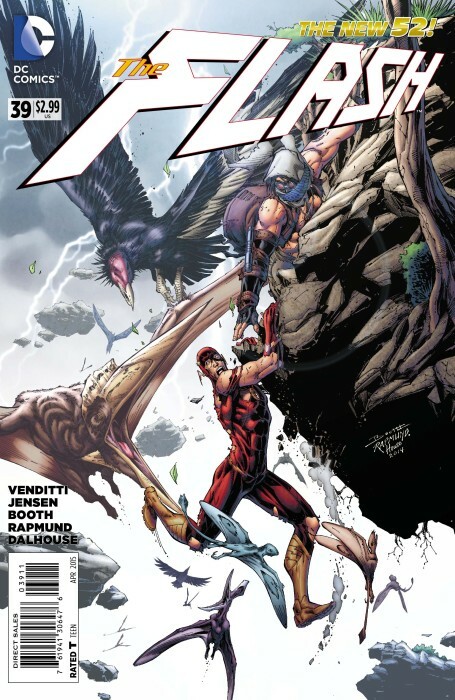 Written by Robert Venditti and Van Jensen, art by Brett Booth, Norm Rapmund, Andrew Dalhouse. Monday saw the release of the latest Flash Season Zero chapter, featuring the origin of King Shark. Written by Lauren Certo, Andrew Kreisberg and Kai Wu with art by Phil Hester, Eric Gapstur and Kelsey Shannon. DC adds two more Silver Age Flash comics to the digital backlist on Wednesday, Flash #145 and Flash #146 from 1964: “The Weather Wizard Blows up a Storm,” “Girl From the Super-Fast Dimension!” “The Mirror Master’s Master Stroke” and “The Fatal Fingers of the Flash.” Stories written by Gardner Fox and John Broome with art by Carmine Infantino and Joe Giella. DC has also been adding the Tangent Comics issues to their online catalog, and this week features both Tangent Comics: The Flash and Tangent Comics: Trials of the Flash. The idea behind the Tangent Universe was to take just the names and come up with a whole new set of characters (kind of like revamping the Atom from a short boxer into someone with shrinking powers). Lia Nelson is the first baby born in space, now a teenage celebrity who has light-based powers. Both books are a lot of fun, and kind of resemble the Road Runner/Coyote cartoons: a secret agent keeps setting ridiculously complex traps for her, and she just keeps casually eluding them. Bio of the Tangent Flash. Todd Dezago writes both issues, with Gary Frank & Cam Smith on the first and Paul Pelletier & Andy Lanning on the second. This entry was posted in Out This Week and tagged Tangent on February 24, 2015 by Kelson. Flash #39 Preview is Up! The 13th Dimension has a preview of Flash #39, out in stores next week. We learn a little more about Overload, the top-hat-wearing buggy driver who’s been complaining about buzzing over the last few issues, and reporter Iris West meets with her source in the Central City Police Department to investigate just what’s changed about the Flash. “Power Loss” written by Robert Venditti & Van Jensen, art & cover by Brett Booth, Norm Rapmund and by Andrew Dalhouse. Variant Harley Quinn cover by Amanda Conner and Paul Mounts. This entry was posted in Flash News and tagged Preview on February 19, 2015 by Kelson. 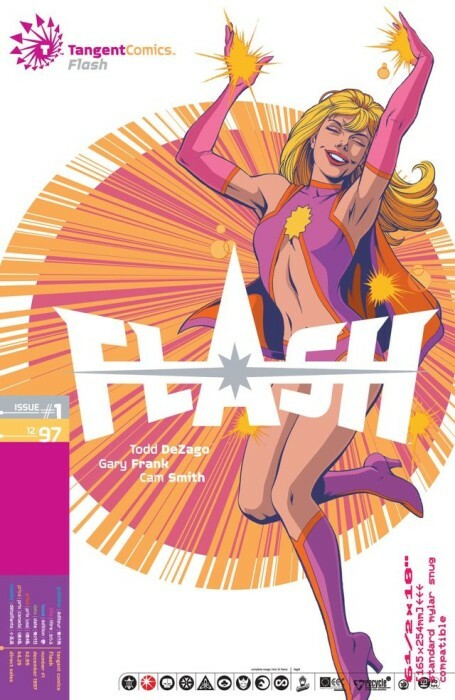 This entry was posted in Covers, Flash News and tagged Flash Season Zero, Solicitations on February 18, 2015 by Kelson. Last episode ended with a bang…or rather a nuclear explosion as Firestorm blew up while Barry and Caitlin sped away just ahead of the blast wave. Could that really have been the end of Firestorm? Not a chance! That’s where we pick up in Episode 114 of THE FLASH, “Fallout”! This entry was posted in Reviews and tagged CW, Firestorm, Flash TV Show 2014, General Eiling, The Flash on February 18, 2015 by Ed Garrett.